A few words from the project team. It's not a bad time to be a Freshman. 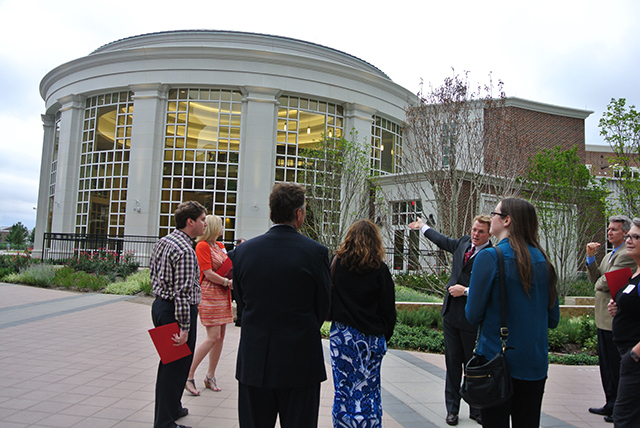 The brand new residential commons at SMU welcomed members of the AIA and community recently, providing a preview of what college dorm life will be like this fall semester. 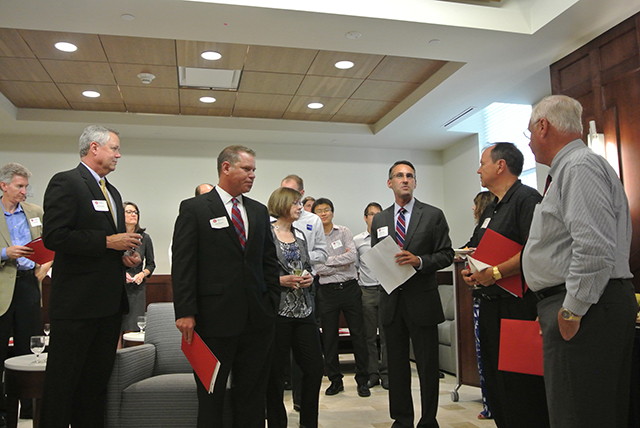 The guests were treated to wine and h'ordeuvres, the project team said a few words, then, it was off to the tour. 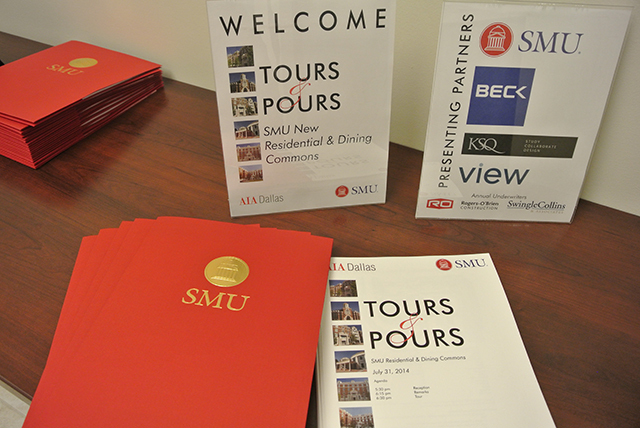 It is not too long ago that I was in college, and I can certainly say that my dorms never looked (or smelled) as nice as the ones the SMU students will be enjoying. 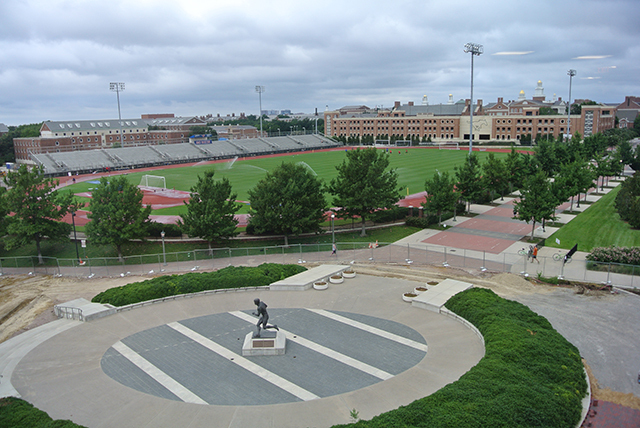 Incoming students are required to live in the residential commons for two years. 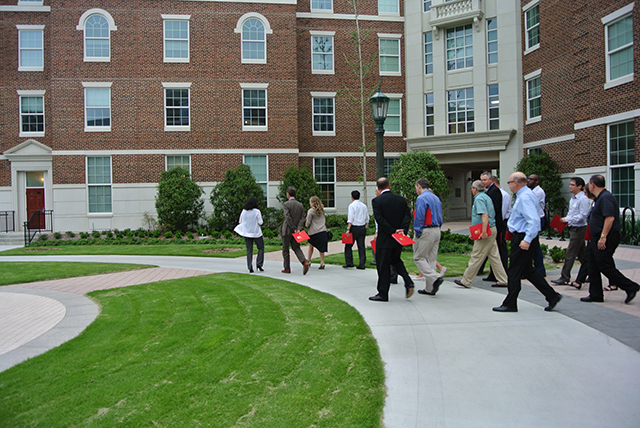 The commons buildings are situated with green space and courtyards providing outdoor accomodations for studying, liesure, and sports. The upper floors are reserved for sophomores, giving them stature amongst their peers and offering views to the football stadium, teasing the students with the ability to see how big the crowd is, but not the actual game itself. 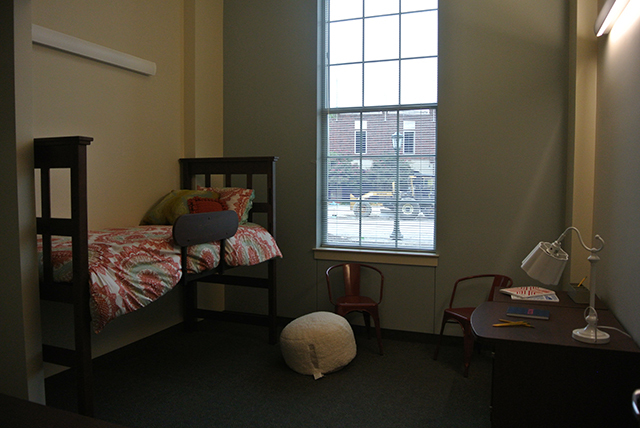 The dorms all have lofted beds with plenty of room beneath to store things. The hallways contain group seating pods, arranged in a way to promote more interaction instead of walking down a straight hallway and texting. The pod’s U-shaped seating is ideal for group selfies during study breaks, which can be posted at blazing speeds because all of the buildings are equipped with WiFi. 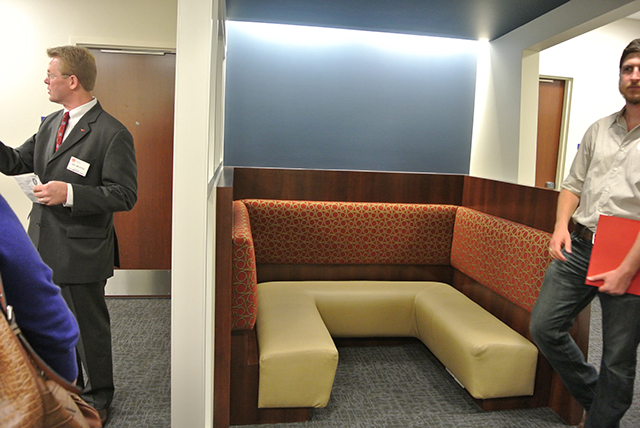 Off of the same hallway, there are spacious quarters for the professors as well. Demand was greater than expected, and now there’s a waiting list to live there! It comes with a guarantee that there will never be a dull moment. But, if the professor should want one, they can rest easy knowing they are acoustically separated from the students studying loudly nearby. 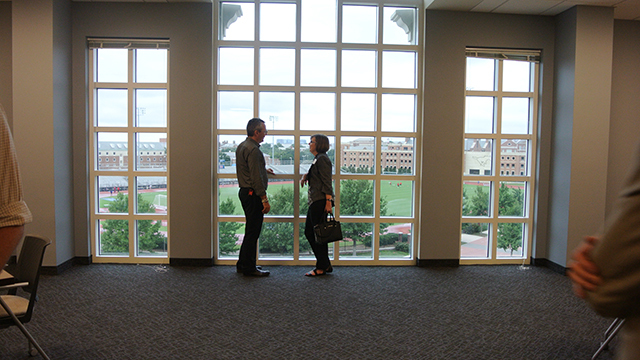 Our last stop was the dining commons, which has a curved curtain wall of special electrostatic glass that is able to adjust how much light and heat it will let in. It’s like those transitions sunglasses for your building, but much cooler. Once school starts, it will be interesting to watch these buildings come alive. 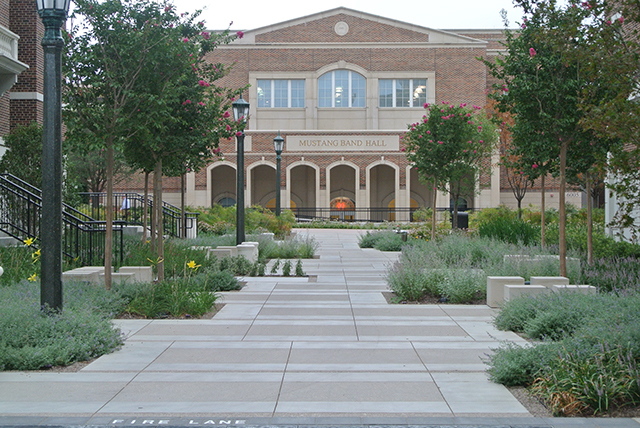 The architect was KSQ and the general contractor was The Beck Group.